What’s not to love about exercise? Plenty, right? It makes you hot and sweaty. It takes up time when you could be on Facebook or playing your favorite computer game. And it’s not very convenient in the dead of winter or in the heat of summer. You may have other reasons for not loving it as well. The World Health Organization recommends a minimum of one hour of moderate to vigorous physical activity every day if you’re 17 or younger. 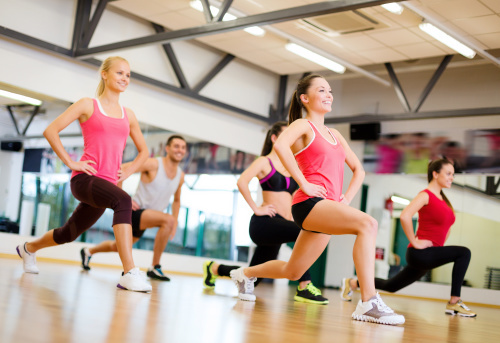 If you’re 18 or older, you need 150 minutes per week of moderate exercise. If you’re already getting the minimum, keep up the good work! If you’re like most people, however, you may need a little motivation to spend that much free time working up a sweat. According to the Centers of Disease Control and Prevention, less than half of American adults get the exercise they need, and in 2012, only about one-fourth of youth ages 12-15 got the recommended amount of physical activity. Sometimes when you’re young and in good health, exercise doesn’t seem so crucial. But in reality, ditching it can be devastating both now and in those years down the road. When you neglect exercise, you increase your chances of becoming obese. And, according to the Harvard School of Public Health, you’re more likely to develop a number of serious diseases including heart disease, type 2 diabetes, certain cancers and bone loss. Even now, you could be developing a serious health condition that won’t even be detected until you’re middle aged! For example, did you know that fatty buildup in the arteries can begin in the teen years? A report in Harvard Men’s Health Watch sums up a 7-year scientific study in which researchers found fat deposits in the coronary arteries of subjects as young as 15. How often do you find yourself sitting for an hour or more, watching TV, studying or playing a video game? Here’s disturbing news: Recent studies indicate that sitting for long hours, whether at a desk or on the couch, tends to shorten your life span. Even if you do get your regular exercise at other times during the day, it’s important to avoid long periods of inactivity. Medical experts agree...You can’t shun exercise without paying a price! But there’s good news, too. Exercise has the power to help you get what you want out of life. It can be your new Best Friend Forever—if you let it. Combined with a healthy diet, exercise will keep you looking your best by controlling your weight. It burns extra calories, boosts metabolism, and tends to curb an unhealthy appetite. It can also influence hormones that affect body weight. For example, elevated levels of the stress hormone, cortisol, can result in weight gain for some people. The most effective way to lower these levels is with exercise. You wake up on the morning of an important meeting, a fun party or other anticipated event, but instead of bounding out of bed, you roll over groaning with that familiar sore throat that heralds the beginning of a nasty cold. You can decrease your chances of this scenario with a commitment to exercise. Regular physical activity increases your body’s ability to fight off many common illnesses, both viral and bacterial, according to the National Institutes of Health. Friends. Family. Work. Study. Some days simply drain your energy. You can’t afford to use any extra strength doing jumping jacks or sprinting down the sidewalk, right? On the contrary, as reported by WebMD and other medical sources, getting more exercise actually increases your energy. 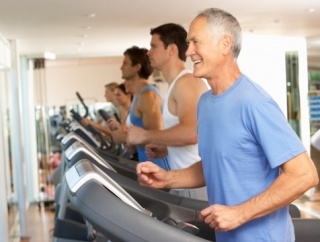 While you’re exercising, your body’s cells produce the extra energy needed to accommodate your activity. The more you exercise, the more energy your body creates. When you need that extra oomph for your busy days, you can’t afford not to exercise. Dennis Rosen, MD, pediatric sleep specialist at Boston Children’s Hospital, noted the positive effects exercise has on sleep, particularly for teenagers. In an article on PsychologyToday.com, he examined a study showing that exercise helped athletic teens fall asleep faster and experience deeper sleep than non-athletic teens. This better quality of sleep resulted in better “concentration and overall function” during the day. Looking to get ahead on the job or at school? A little extra brain power wouldn’t hurt! As you exercise, your body produces certain proteins which allow your brain to grow new cells, according to research reported in Forbes Magazine. This brain growth will improve both your memory and your learning skills. If you’re stressed, anxious, or depressed, life gets overwhelming. Dr. Mark Stengler notes the importance of exercise for mental health in his book The Natural Physician’s Healing Therapies. Any treatment program for someone suffering from anxiety or depression should include exercise, he writes. Not only does it reduce the effects of stress on the body, but it also “stimulates a release of chemicals in the brain”—endorphins and enkephalins, chemicals that make you feel good. Don’t let the worries of the day defeat you; take time out for a sprint down the road. Making a friend of exercise now can have long-term effects. You’ll enter into your middle and older years with far fewer health risks. Remember all those diseases you tend to develop if you don’t exercise? The right kind of physical activity can help prevent all of them. Take diabetes, for example…the American Diabetes Association cites a study showing that “even modest changes in exercise … reduced diabetes risk by 46%.” The National Cancer Institute cites evidence showing a reduced risk of several types of cancer, including cancer of the breast, colon, and lungs. And your risk for heart attack, stroke and high blood pressure decreases significantly with regular exercise. So, if you’ve been ignoring exercise, it’s time you learned to love it. Turn off that computer and spend a little time with your new BFF!